I wrote a blog a while back about a Reiki Pick Me Up, about working with Reiki in each chakra to energize yourself and get through the day when you feel tired. But, this technique can be used in other ways as well, energizing yourself is just one of them. This same technique is used as a quick way to strengthen and grow your energy and that of your auric field, in other words, Strengthen Your Divine Light Within. diagram of the aura, large and healthy. I have learned this technique from multiple Reiki Masters, first in my Reiki Master/Teacher class from my teacher, Catherine Morris, as we use it to brighten our energy field and bring in more Divine Light into our field before doing attunements. Then I learned another use for it during my Reiki Drumming class from my teacher, Michael Baird. He used the phrase “Strengthen Your Light.” It strengthens and expands the Divine Light in our energy field and helps us to feel the Divine Energy more strongly before working with Reiki or doing other spiritual activities. I also like the term Brighten Your Light, because I also brighten my energy field by singing the song “This Little Light of Mine” and it reminds me of that song and ability to brighten our own lights with our intention and attitude. Whatever you call it, find a way that works for you to enlarge your Divine Light within. The more you practice this, the more healthy your energy field will be on an ongoing basis. Do this each and every day to feel happier, healthier and more content with life in general. These are all benefits of a healthy and happy energy body. HOW DO I STRENGTHEN MY LIGHT? Sit in your Gassho, center and ground yourself and call in your Reiki guides of the highest order. Hold the intention that you want the Reiki energy to give you a boost in energy to get you through the day or whatever intention you feel is best for you for the greatest good. After running Reiki on your crown chakra run Reiki all throughout your aura with the intention of energizing you. Sit in your Gassho, center and ground yourself, and call in your Reiki guides of the highest order. After drawing the Power Symbol, CKR, in your last chakra, draw a large CKR in front of you activating it and bringing it into your body and aura. As you bring the large full-sized Power Symbol into your aura and body intend MORE DIVINE POWER and your aura and personal space DIVINELY PROTECTED! Do your closing Gassho and go! I Pray many of you give this a try when you are needing that pick me up and that it helps. Let me know how it works for you. A BIG THANK YOU to my teacher, Catherine Morris, for teaching me this technique as part of our attunement process. So grateful for ALL you have taught me!! A BIG THANK YOU to my Reiki Drumming teacher, Michael Baird for helping me to see more uses for this technique. Vision Boards for Girls Night Out!! Our whole group tonight being creative, having fun and feeling great joy at being together in this process. Having help and support from the other ladies in the group was a HUGE help to me. In our quest to have more fun included in our healing journey, our Girls Night Out group (Mystic Sisters) met this week for some ‘cuttin it up! !” Magazines that is. My industrious students have been dropping off magazines to me all month-long. We had a whole room full! The ladies came in and didn’t even want to eat, they were so excited to get started on their vision board, they headed straight for the magazines and started rifling through the pages searching for inspiration. It was the darndest thing. I had to almost pull them away to get them to eat dinner. A quick dinner, some fun get to know you games and we were back at it. ‘Creating a vision board is probably one of the most valuable visualization tools available to you. This powerful tool serves as your image of the future – a tangible representation of where you are going. It represents your dreams, your goals, and your ideal life. Lauren was the first to tackle the magazines and finished TWO boards in one evening. WOW, I barely got my one done. I wouldn’t be earning my keep if I didn’t teach a Reiki lesson with each evening we have right?!! Good thing to me, REIKI IS FUN!! Vision boards are all about having a physical visual manifestation right in front of you to look at regularly to help focus your thoughts, emotions and beliefs on creating your vision in your physical life. Being able to SEE it right in front of you helps the manifesting process which is stronger with emotions and visualizations. Even the process of creating the vision board is important and stirs up the universe into aiding you in your quest because you are putting time, effort, emotion and hopefully FUN into the process. We put so much fun into our process, we know Divine is helping us manifest our visions. We also put a whole bunch of REIKI into our boards!! What does the Reiki bring to the table when vision boarding? Reiki helps us to be more grounded in making decisions about which pictures to cut out and which ones to leave, saving us time and frustration. Bringing in our Reiki at the beginning helped us to be more cohesive as a group and work together to help and support each other through the process. Everyone was sharing clips, cutting out things for other people, shouting out ideas, it was beautiful. Reiki brings in our Reiki Guides to help with intuition to know what vision of our future to go for, or which theme is right for us at this time. Before I started, I really had no idea what I was going to create. I just followed the Reiki and it turned out perfect for me. Reiki brings in spiritual power to help us have the confidence and belief that we can in deed create that which we are setting out to create. Lauren was creative AND productive, she even had pictures on the back. They beautifully expressed her vision. Reiki helps us to be more creative and heal any issues around being creative. Reiki helps us to take creative risks that we wouldn’t normally take while doing a process like this in front of a large group of people. Reiki helps us to think less, and act more intuitively getting the job done from a higher level of thinking. Reiki helps us to create our big picture vision, not our internal subconscious chaos. …and so much more. That’s just what I came up with in this moment. Can you think of any others and share them with us in comments!?! Amber, Lisa and Lauren were my late nighters. They were determined to finish tonight no matter what it took. Me too, I’m a late nigher in general so I stayed to finish. You could also call me slow, but I prefer intentional. Smiles. were focused but at the same time truly enjoying the process and each others help and company. I heard more than a few times “This is so much fun!” That’s all that mattered to me, fun was the goal and fun we had. My guides, my girls and I were happy vision boarders. If you have never done a vision board, here is my basic instructions on how I do it. As with everything, I’m sure there are tons of ways, this is just one of many. Bring in your Reiki or if you do not have Reiki yet, pray for Divine Guidance and go for it. Allow yourself to feel joy throughout the process. If you do not feel joy, take a break and start again later when you are ready. Gather a whole bunch of magazines, don’t discriminate, you never know where that favorite photo or quote will come from. We were all quite surprised what kind of magazines we found some of our most stunning photos. 1. Gather a whole bunch of magazines. Students brought them, I went to all the thrift stores in town getting free magazines and the library too. I got a huge assortment. don’t be shy to ask people, most people are happy to put them to good use. Bring in your Reiki and your Reiki guides to be with you through the whole process, bringing you spiritual power, protection and support. Ask your Reiki Guides to help you with your vision, what is most important for you to SEE at this time. Go through magazines quickly without too much thought. Make decisions fast and just tear out the pages that you are drawn to without judgement. Just go, go , go. Tear out photos and words that you are drawn to and pile them up, move on to the next page or magazine until you have a nice size pile and FEEL ready to move onto the next stage. Clear, clean and prepare your space for the next process, cutting. Get scissors, glue and poster board to be ready to lay out our rough draft. After we had torn out all the photos and words we wanted, we moved to a clean table area to take the next step. We threw the trash on the floor to keep the work space clean and creative. We had a pile area of photos and words that we didn’t want to use, but thought others might want, we called it the pilfer pile. I got some good stuff out of the pilfer pile for my board. It was great working together. Cut up the photos and words to get a basic idea as to how things will fit or not fit. Make quick intuitive decisions, don’t think too much, work with your Higher Self and your heart, not your head. Get a basic layout and start gluing stuff down. Know it will turn out different from you plan, but perfect as it is. Glue down the background first, then start with the words and little stuff, trust your intuition all the way through. Divine knows your bigger picture, your true souls vision, it will appear naturally if you don’t stress or think too much. Just Say No! Be aware of the ‘big picture’ and what you are truly drawn to. You may have to make some tough decisions, get rid of a photo you really like, but that just doesn’t fit the big vision. A cluttered or chaotic vision board may reflect what is going on inside of you now, not necessarily what you want to create in your life in the future. Lisa said my board felt very calm and peaceful. That is what I was going for without really knowing it. My mind has been quite chaotic lately with some intensive mental healing I’ve been doing; peaceful is what I’m really ready for. I’m putting this next to my bed so I can look at it before I go to sleep. Have fun and just allow the process to unfold. Place the vision board where you will see it multiple times per day. A very powerful time is right before bed, so maybe put it near your bed so you can look at it right before bed time and right when you wake up. These are strong hypnotic state periods in your mind and you are very likely to take in this visual information more easily into your subconscious mind. I had so much fun, I’m thinking of tackling this project with my Reiki kids group too. Go for it, it’s a powerful and positive process. Well worth the mess on the floor. Let me know how it goes for you!! I recently hosted an evening where a spiritual friend of mine who is well-practiced and acquainted with the I Ching (pronounced E Ching) , came over and taught a small spiritual group of people about the I Ching. Charlie Comstock was one of my first spiritual friends here on the peninsula when I moved here six and a half years ago. He did an I Ching reading for me and I gave him a Reiki session. I remember getting information from the reading that helped and made sense but I didn’t get the profound awakening to the I Ching until this evening with Charlie and our group a week ago. We gathered around Charlie and the coffee table to throw our coins and tally our results. On this evening Charlie told us stories about his past and how his whole life had led him to the I Ching and how important aspects of his childhood, young adult years and beyond had been important in making the I Ching prominent in his life. He was a fabulous storyteller and we were all completely enthralled with him and his presentation. After we tallied our results Charlie took turns reading the results for each of us and we all weighed in intuitively what we felt the results were saying. It was intriguing how often we were all feeling the same thing. Then he talked about the I Ching and how to pose a question to get a true answer, how to translate the answer and then he guided us through the process to truly amazing results. It is really an amazingly simple process to receive such important wisdom from the Universe. I believe we were all quite in awe of the accuracy of the answers we got. Not just because they were answers we expected but because they spoke to us in the depths of our souls with words we couldn’t say but when we read them, they resonated with us, each of us reading for ourselves or each other. We all understood them to be true. The I Ching is an ancient Chinese text of divination also called the Book of Changes, over three thousand years old. The I Ching uses a type of divination called cleromancy, which produces apparently random numbers (through the Law of Attraction). This is the I Ching workbook Charlie prefers using. One uses three coins of any kind to ‘throw’, then decipher from an I Ching workbooks which of 64 hexagrams to read. The interpretation of the readings found in the I Ching is a matter of centuries of debate, and many commentators have used the book symbolically, often to provide guidance for moral decision-making. The I Ching wisdom follows the natural rhythm and patterns of our natural world in order to bring us intuitive wisdom about our own natural rhythms and how they relate to our lives. The I Ching is easy to learn and anyone can ‘play’ with it for answering questions about their daily life, much like divining cards, pendulum, divining games or other divining tools. After you focus on your question, throw the coins and record the results six times from bottom to top, you use this chart and some help from Charlie to decipher the results and which hexigrams you’ll be reading. Like any divining tool, posing a good question is the key to getting a good answer. Charlie gave us some tips to come up with questions that were important and significant in our lives, and not frivolous. It is good to be emotionally involved but not attached to the outcome or we might influence the outcome by our desire. This can happen if we are not grounded and careful. What are the benefits of …….? What are the effects of …………? What are the dynamics of…….? Why is ………….happening to me? What draws me to …………….? What are the benefits of me taking this Reiki class in June? What are the effects of me taking a break from work and focusing on my family and myself this summer? What are the dynamics involved in me creating and posting my own website for my spiritual abilities? Why do I have to start a new career at this time in my life? What draws me to the South West part of the country to live? Then you look up the symbols you got from your throws and this chart tells you which hexigrams pertain to your throws. It’s easier than it sounds. One time through and you get the hang of it. Then you read the pages that pertain to the numbers on the chart. NOTE: Once you have a question you feel good about, you can get started. Don’t forget, for the best possible outcome to bring in your Reiki to help you with the process. When I forget this step (Yes I do forget now and then) I notice the answers I get are not as clear or maybe don’t relate to my question at all. Give it a try both ways and see what you feel. You know me, I’m a Reiki Gal, everything I do, I combine it with Reiki and I feel and know I get more accurate results. The Reiki helps me to be more centered and grounded, in the here and now. That way I am devoted to my questions but not attached to the outcome. The Reiki helps me to bless the process with spiritual power, protection of the highest and most divine order as well as bringing in my Reiki Guides for spiritual information and intuition. This time when I asked for my Reiki Guides, I saw a new I Ching Guide come in to help too. This was a pleasant surprise. I believe he came in to help the whole group. Gassho – prayer position -(hands in prayer position in front of your heart) ask Divine to bring in your Reiki through you. Ask Divine for (hands in prayer position in front of your third eye) the Highest and most Sacred Order of Reiki Guides for the greatest good of all involved. Hold the coins you choose to use in the I Ching and bless them with intention or the Power Symbol. Still holding the coins, cleanse them with intention or the Mental/Emotional Symbol. Still holding the coins, energize the coins to the perfect vibration for you and your questions answer with intention or again, the Power Symbol. Each person who attended this workshop felt very profound results. Each one was happy to write down their thoughts about the evening with Charlie and the I Ching. I hope you enjoy reading them. Our group all working together LOVING Charlie and the I Ching!! “WOW, is all I can say. Working with the I Ching in a group setting was extremely profound. All six of us got answers that resonated with us on a deeper level than we had anticipated. The ancient texts go into such detail about what is happening or going to happen, much deeper than any other divining took I’ve worked with. Having Charlie to read the text to us helped me to be able to listen from a place of higher knowing and interpret how the text related to my specific situation intuitively. I asked a question about a class I was considering taking and got a very obvious “NO” answer. Not the right time. With much detail as to what would happen if I choose to take the class anyway. After the reading I got, all seven of us voted that I NOT TAKE THE CLASS at this time. And, the answer from the I Ching was consistent with what my guides had been telling me. Playing Spiritual Games Safely and for Fun! Rain Shadow Reiki’s New Spiritual Community Activity!! GNO!! I’ve talked in the past about how my guides are telling me that now, at this time, it is vitally important to the healing of our people and our earth that we gather in local spiritual groups. If people are not part of a church, then forming or finding a spiritual group is essential to our spiritual evolution. We evolve faster and more easily when working closely with other spiritual people of like mind. I have experienced this first hand in my own Reiki community and can see the direct effects in my own progression. So, once again, especially if you’ve been getting your own messages to find other spiritual people close to you, JUST DO IT!! It is not always easy meeting new people and working closely with others, but it is highly worthwhile. Our Reiki Communities New Group — Meet Our Mystic Sisters! My guides encouraged me to start a Ladies Night Out group to bring more fun to our small Reiki community. GNO was my guides idea, but I liked it and got it going with our first group activity, GAME NIGHT!! After playing some ‘get-to-know-you’ games and filling our tummies with delicious healthy food, we voted on a name for the group and Mystic Sisters won by a slim margin. My guides gave me this name first so it doesn’t surprise me at all that it won the vote. So our group is called the Mystic Sisters. The sisterhood theme was a big one as 5 out of the 7 possible names we voted on, had sisters in it. The group in the living room learning how to play the Psychic Circle game. It helps to have one person taking notes and reading the book. You can take turns doing this. The spiritual part of our evening this month was to learn how to play spiritual divining games in a safe and accurate manner. As a child, I had a higher knowing (not that I knew what a higher knowing was at that time) that Ouija Boards and other such games could be unsafe and possibly bring in darkness. I still have this feeling and have not ever wanted to even touch one, let alone play with one. However, I do not feel that all spiritual games are this way. I feel the people who create the game and HOW it is played and instructed to be played makes a big difference. I feel some games themselves are not safe and I feel it’s possible that the misguided usage of some of these games by people who didn’t know any better or possibly used them for dark needs have over time left an imprint of lower energy that isn’t what I want to be playing with. Just my opinion/feeling. The Enchanted Spellboard group, a lively group with more questions than time. So I searched for similar games that I could feel good about. I quickly found a series of games made by a husband and wife psychic team who had the same idea as me; wanting beautiful spiritual divining games that were of Love and Light with very detailed instructions as to how to work with these kinds of games safely. I found Psychic Circle, Enchanted Spellboard and the Truth Fairy games all by Amy Zerner and Monte Farber. I tried them out ahead of time with some friends and had lots of fun and felt the whole time surrounded and protected by Divine Love and Light. Of course, prior to starting the game, we brought in our Reiki (Gassho prayer of intention), sent Reiki to the games themselves, blessing them with the Power Symbol, cleansing them with the Mental/Emotional Symbol, and energizing them with Divine Energy with the Power Symbol again (CKR Sandwich). We cleaned and energized ourselves the same way prior to this and then said a prayer of intention calling in the Highest and Most Sacred Order of Reiki Guides of Love and Light to be with us and guide us. An aerial view of the Psychic Circle game. And again, my 11-year-old photo bombing us. If you do not have Reiki you can still pray with all of these intentions, state them out loud for emphasis and KNOW and BELIEVE that you are surrounded by Divine and working with only guides and spirits who walk in the White Light of God, and you’ll be good to go. Put your heart, some visualization, words and intention into this process. Don’t rush through it, it’s important, take your time and FEEL the difference it makes. It is just too easy to say a prayer of intention and NOT end up with this kind of energy around you by being in a state of Love and Light and holding Divine close to your heart at all times. Especially if you are playing these games with others, you owe it to them and yourself to do it safely. O.k., lecture over. Ariel view of the Enchanted Spellboard. With practice we found out that how you phrase your question is very important as well as having excitement and curious energy helps to bring in movement to the board faster and easier. The more fun we had, the better it worked. It was so much fun, some of the sisters wanted to play these games again next month. Yep, it was cool! At one point I asked if it would be in my highest good to go to Sedona this summer for my girlfriend’s birthday celebration. The Psychic Circle board first went to GO and then landed on FIRE. I laughed and said, “Ok, I can go, but it’s going to be very hot.” When I told my friend this, she said that she’s a Leo and Leo is a FIRE sign. Ok, two possible meanings. Either way, Sedona is a good idea for me anytime. No, I didn’t need the game to tell me that, my intuition is pretty darn good, but it was a very fun way to get an answer. WARNING: Please do not do any kind of spiritual work while partaking in drugs or alcohol. Mystic Sister is new and just getting started but my guides give me great ideas all the time. I can’t wait to see where we go with this. If you are interested in Reiki, please read my website and/or feel free to contact me with any pertinent questions via email or phone. If you live on the Olympic Peninsula and are interested in learning more about Mystic Sisters, please give me a call. I’d love to hear from you. Now go out and find a new way to bring fun and joy into your spiritual path!! Peninsula Healers Circle – Radiant Circuits, Our Ticket to JOY! This month’s Peninsula Healers Circle topic was taught by Mary Ellen (ME) Bartholomew, a Donna Eden Energy Practitioner and Reiki Master from Port Angeles. Let me just say, SHE WAS FABULOUS AND SO WAS THE TOPIC!! So much of what she talked about, truly spoke to me. It was eye-opening and I couldn’t help thinking “Wow, if everyone knew this and did this daily, there would be no depression in our world at all! Maybe even no fighting or war?! !” Suffering from depression for so many years, I felt that joy was gone for good and I had no idea how to bring it back. Reiki helped me with this over time and still does. But, now I can see, I might have found my joy much quicker if I had known how to reactivate it through my energy field with the Radiant Circuits. Similar to chakras and meridians, the radiant circuits are another part of our energy system but once activated they do not have to run on any particular pathway, they can go anywhere they are needed. They connect all our energy systems. Donna Eden calls them Radiant Circuits but other names are Joy Flows, Strange Flows, Extraordinary Vessels and more descriptive names. They are the only energy system in smaller creatures, like bugs. And the very first energy system that is created by a fetus, before chakras and meridians. Thus the Chinese believe the radiant circuits to be the first energy system in our body’s energy system even though they were not discovered first. The purpose of the Radiant Circuit system is to give us access to feel joy, bliss and uplifting feelings. It is our soul’s true goal and purpose to BE IN JOY. Radiant circuits also act as a tie between the other parts of our energy system, the chakras and meridians. How Do We Activate Them? Mary Ellen taught us in our class how to trace the Radiant Circuits like you would the meridians. And four of them are the same as the meridian system of pathways. If you are familiar with Donna Eden’s energy medicine at all (check out YouTube) you know in order to strengthen or activate your meridians you trace them along their path. Practicing holding points to help calm Triple Warmer meridian and activate Radiant Circuits. You can do the same with Radiant Circuits. In fact, there are many good videos on YouTube that show you how to trace these radiant circuits. I have posted a link to one that I like HERE. It’s about 6 minutes long. My favorite part of the whole class was at the end when Mary Ellen played a great song called ‘Thank You For This Day’ by Karen Drucker and we all danced to the music with gratitude and positive affirmations in it, drawing infinity symbols around ourselves and incorporating tracing the radiant circuits to the music. It was beautiful and I can’t think of a better way to start each day. Just the dancing with so many like-minded souls activated my joy for sure. The whole process brought me joy and helped me to feel empowered towards my goal this year which is to bring in my love and joy! There are other ways to activate the circuits and if you add the intention to any of these activities you can activate them in a faster amount of time and feel joy in your life sooner. But, like any intention and energy healing, this is an activity that needs to be done on a daily basis and is well worth the effort. Learning the different ways to activate the Radiant Circuits. Once the Radiant Circuits are reactivated they also help us cope with the modern-day stresses of life in a more joyful light-hearted manner, helping us to get through even the most difficult of days on Earth in a more positive manner, holding onto our bliss at the same time. Reiki, Stretching, Yoga, exercise, Qi Gong, affirmations, dance, music, singing, walking with intention, creativity, gratitude, being with a beloved friend, confiding in someone you trust, anything that brings happiness and health to YOU, etc. This is a Reiki blog, so you can bet I’m going to be adding in intentions to activate the radiant circuits for my clients during sessions and if it is needed, my guides will help me with this and I’ll know how to do it in combination with Reiki. I can’t wait to see what results we get. I’ll be watching the Donna Eden videos and working with Mary Ellen along the way to learn more about this fascinating new possibility. I truly believe our souls want us to be happy and find our place of bliss. However, while in human form on Earth most of us are constantly in fight, flight or freeze mode. This is due to modern-day societal stresses and our triple warmer meridian, which protects us by keeping us in this stressed state. (We must be prepared for action in case of an emergency – that is how Triple Warmer thinks). My favorite way to calm the Triple Warmer (the fight, flight or freeze meridian) because it’s so easy to do anywhere. Hold the spleen point under the breast and the other hand on the side of the arm above the elbow until you feel calmer, then switch and do the other side too. Called the Triple Warmer Hug. Typically Triple Warmer keeps us in fight, flight or freeze mode. Or it takes us there unnecessarily out of old habits. Situations all day long trigger old stressful or even traumatic memories and they take us back to FF or F mode. This is reactivity mode where Triple Warmer activates inappropriately and when not needed. Triple Warmer was meant to protect us, help us have quick reactions and sudden or immense strength in times of need. (We don’t need to be the HULK all the time, but we are too often.) TW can pull energy from all the systems except the heart. Radiant Circuits can help to bring in calm during times of stress causing us to not go into FF or F and instead stay in a state of bliss. THIS IS HUGE, PEOPLE!! Modern Americans are in a state of Fight Flight or Freeze almost every day. This is a major cause of illness and depression in our country. This is why Reiki and other energy healing techniques like activating the Radiant Circuits is so vital at this time in our history. It can truly help people to not only cope, but to truly find their bliss. A BIG HUGE thank you to Mary Ellen for introducing us to this amazing and life changing energy system. I look forward to practicing more and bringing in more bliss and less stress. I hope reading a bit about this has motivated you to watch one of Donna’s videos and learn for yourself. I know I’m going to be blissed out all day today and I’m grateful for it. To learn more about the Peninsula Healers Circle check out our website. We strive to bring healers of all modalities together as one great healing energy on the Olympic Peninsula with love and support. Years ago, before I knew Reiki, my husband and I were in the process of buying a franchise business. It was an enrichment activity place for children and would help children to learn how to feel, understand and relate their emotions more powerfully and spiritually. It was amazing. However, after months of planning, preparation and training, we had severe ethical differences with the owner and ended up severing ties with her and the whole business idea. It was the death of a dream for us. Emails can carry the good or ‘bad’ energy of the person who is sending them. Unfortunately, it was the death of much more than that too. Our beloved dog Marley died at exactly the same time in an accident. It was an accident, however, I still felt at fault and felt a great deal of guilt over the situation. I was grieving our family member and our business dream at the same time. We didn’t know where to take our dreams from there, it was just too painful to move on. It was a very hard time especially since I didn’t have nearly as many coping skills as I have now with Reiki. At the same time of us feeling defeated, depressed and in limbo, the franchise owner’s friend sent me a scathing email about the situation. She, of course believed her friend to be ethical and didn’t believe us. The email was extremely unkind but even worse, she powerfully put ALL of her emotions into the email as she wrote it and transferred them to me when I opened it. As soon as I clicked to open the email, I felt fully every hurtful emotion she was feeling towards us come through the email before I even read it. It got into my auric field and brought me down like a ton of bricks. I was still grieving and working through my own fears and issues with leaving the business behind and feeling responsible for our family member’s death, so her email and the emotional energy that came though with it, easily got into my unprotected auric field and exacerbated any difficult emotions I was already feeling ten fold. I got physically sick on top of the depression and had trouble functioning for weeks afterward. I didn’t fully realize at that time that an email could carry energy like that and affect me to such a degree. I finally realized what was happening and started meditating and doing some healing work that I knew at the time to help me remove this energy from my body, mind and spirit. Over time I got better and was able to put it behind me. This is obviously an extreme situation, but it is the extreme that sticks with us and teaches us some of our biggest lessons. And I learned an important one, REIKI YOUR EMAILS, COMING IN AND GOING OUT!! When we Reiki the emails we can neutralize any less than loving feelings we may be having at the time we write the email, so the other person doesn’t receive them energetically. We can also neutralize any of those same feelings that may be coming IN on an email from someone else BEFORE it gets to us. We all have stressed or negative feelings from time to time, but we don’t need to be sending them out to the world or to our friends via emails and pm’s. BONUS: When we Reiki emails going out, the Reiki will help to heal any less than loving feelings we are having at the time too. It’s a win/win. We do not need anyone’s permission to do this because we are not sending Reiki TO the person, we are sending it to the email, surrounding and protecting the energy of the email. We are sending Reiki to the email so it is full of positive love energy. If the person on the receiving end chooses to take some Reiki that comes with the email, that is between them and their Higher Power. As always, this is my way. Feel free to use this one or trust your higher self, your Reiki Guides and you own personal knowledge to come up with a way that feels right for you. Let the Reiki flow with intention. You can visualize the Reiki flowing into the email, dancing around the letters. Flowing through the message or just melding with its essence. Intention: Clean and clear, safe and sacred. If you have Reiki symbols – I like to use the CKR sandwich; 1. Start with a blessing symbol like the Power Symbol (CKR) or a master blessing symbol (UDKM or TDKM) for the intention of sending blessings to the email and anyone who reads it. (We can send a blessings symbol without permission.) 2. Then I send in the Mental/Emotional Symbol (SHK) and chant in my head the mantra with my intention, ‘clean and clear,’ three times each. This will clean the email of any stress or emotion that you are feeling when you write it.You can chant the Reiki symbols in your head with the intention that they are flowing out your hands and into each individual email you are sending out. 3. End the sandwich with the Power Symbol (CKR) for energizing the email to the perfect balance for you and the person receiving it. Reiki your email until you feel it is enough. You can use this process for letters, pm’s or other forms of communication. Thank the Reiki and your guides! Send the email with Love & Light! I hope these blogs are helping you to open up your idea box about what to use your Reiki for in your daily life. Every time you work with Reiki, your life becomes more spiritual and in a lot of ways, easier. Go with the flow baby!! I was wondering if you start to feel things (Reiki) working when someone asks for sessions with you. I am finding that as soon as someone asks me about having a Reiki session, things start working. I feel their energy allowing the Reiki from me to start some of the work. Hi Sharon, yes, this can happen. Once a person decides to have a Reiki session and chooses a practitioner, the Reiki can start flowing right away. This depends upon the client’s higher self (soul self) and what they need and want. If they need the Reiki right away to start preparing them for the session, or because they really need immediate healing, then they can start drawing it right away. It is up to you, of course, to allow this or not. We all have free will. Make sure it is within your boundaries to allow this or not. Is it comfortable for you? Are you accepting of this happening? If you are not ready for this step yet, simply tell your Reiki Guides your intentions and ask them to help you find a solution that works for both you and your client. For some new to Reiki,their physical bodies may not be used to the amount of energy flowing through it yet. Running Reiki all the time or when not expected to be doing it (check your boundaries), could sometimes tire them out. Our bodies will gain the ability to run more energy and more often as we practice more often in our Reiki sessions, both on ourselves and on others. This will get better in time as we practice more and our bodies gets more used to it. Some new practitioners to Reiki may already be on the spiritual path prior to taking a Reiki class, doing yoga, meditation, eating healthy, doing other energy work, etc. so their bodies may be set up and ready to run Reiki more than others. Some people may have physical bodies that are just made for this and have no issues at all with running the Reiki even all the time. Practicing your Reiki Gassho Meditation daily will help your body adjust to running Reiki energy and help you to be able to run more Reiki, more often. Everyone is different and we must not compare ourselves to anyone else. Reiki is perfect for all of us at exactly the right time, teaching us as we go, as we practice. For me, due to some chronic illness, I had to build up to this ability and it took some time and practice. But, I got there. I worked on my grounding, my boundaries and I really focused on being grateful for simply having the Reiki and being able to channel it. Being grateful for where we are on our path at that time, no matter where it is, is very important to the Reiki path and being able to run more Reiki. It was for me anyway. You might want to get a Reiki box or some designated box/bowl to put people’s names in and allow the box to act as the channel. That way your body is not channeling to others all the time. I purchase my Reiki Boxes from Mary Riposo at Integrated Energy Healing for about $10 each. They make wonderful gifts for people who work with Reiki. That is how I got mine, a gift from a dear friend. I use a Reiki Box that has been charged with Reiki and Reiki Symbols and can thus channel the Reiki all the time, even when I’m not putting my hands on it and running Reiki. I keep the box next to my bed and do Reiki on it almost every night before bed. It’s become a beautiful spiritual ritual of helping others and I feel good about doing it. This seems to help me. That way I can ask if people want to be receiving Reiki before during and after a session and you can put them in the box. That is so helpful! I love the idea of a Reiki box. The Reiki was very strong with a new client the other day. The strongest I had experienced. She wants to work with me more and I’ll discuss this with her. I’m excited to be working with a new client that I don’t know. Somehow it helps me in receiving the confirmation from a person I don’t know. I am amazed daily by the way Reiki works in my life and makes it so much more…I don’t even have a word for it. I ‘Reikied’ my office space at work. I can feel the entire office sighing in relief. I say work with your Reiki for EVERYTHING and I really mean it. Yes, Reiki is Divine healing energy, but as my African Drumming teacher, Zorina Wolf says, “We don’t know what healing looks like.” Only Divine knows what healing for us looks like. What if healing looks different from a medical miracle? What if healing by Reiki means that it directs you to the best doctor in the area for you? What if healing looks like finding a new home that has better energy and location for your mental attitude? What if healing looks like bringing in a new friend to your life who will love you unconditionally? Would we have asked for that of our Reiki? Maybe, maybe not. But the Reiki knows what we need for our highest good and when and how we are ready to heal, we don’t always know that. Divine Guidance – when you invoke your Reiki, your Reiki guides come too whether you have met them personally or not. If you did not meet your Reiki guides during your Reiki classes, know that they are coming along with the Reiki. They tell you what you need to know during healings. 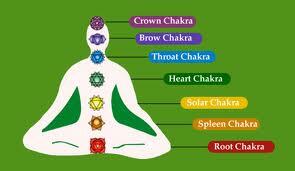 They tell you which chakras need clearing, how to hold your hands and for how long and much more. Ask them questions and they will gently and quietly give you an answer in a very ‘behind the scenes’ kind of way. NOTE: Hold the intention to your Creator that only the Highest and most Sacred Reiki Guides of Love and Light may come to help you and they will come. Ask Divine to allow you to meet them in a meditation for yourself and they will come in some way to let you know they are with you. Divine Information – My Reiki guides are with me all the time, I intend it and so it is. They give me any information throughout my day to make my life easier and more blissful. It is up to me to pay attention, listen and follow it, or not. Believe me, I rebel often and don’t follow the guidance they give and then I learn great lessons in the process. My guides even let me know what color is the best for me to wear most days. Then they also give me important information about my healing practice such as; the best days to teach my classes, hold special events, or to rest and not work at all. They tell me which new clients to work with or which ones to refer out to other healers for both our greatest good. They also stop clients from calling for appointments when I need a break and let them back ‘in’ when I’m feeling better. The list of the services my guides offer me is endless, I only need to ask them and they deliver. Over the years, they save me time, stress, worries and simply make my life go smoother. They want our lives to be wonderful and they help us in any way they can to accomplish this without ever interrupting our choice of free will. No job is too small, the more ethical we are in our work, the more guides of Love and Light will come and help us. Just say THANK YOU! So, maybe you can read these helpful tips that Reiki can accomplish for us easily and effortlessly and see right away how they can help you in your healing journey. Personally, I don’t leave home without it. I love to hear from you with questions or comments in the comment section, your questions help others learn too. Reiki Quick Tip – Reiki Your Feet! 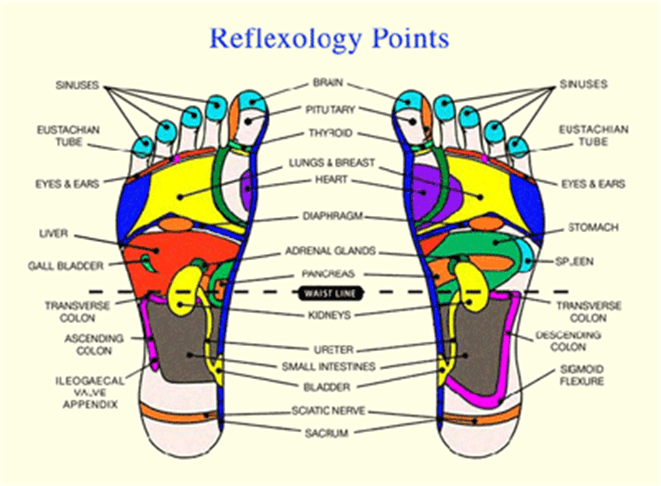 A reminder that our feet need Reiki too and HOW to do it! This topic keeps coming up at the Reiki circles each month. At the circles we have other people working on us and our feet get lots of Reiki. 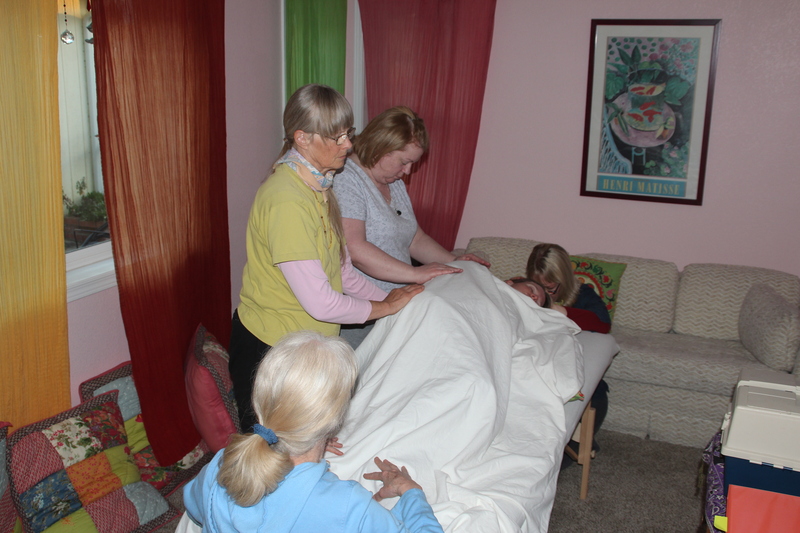 Typically we have three to five people surrounding us at Reiki circle all practicing Reiki at the same time. It is inevitable that someone will be at the feet each time. My husband is a foot person so he loves to be entrusted with that area during circle. I prefer the head or the body. We do our best to move around during circle so each person gets to experience a different side and perspective, but we still tend to have our most comfortable areas. It is good. Better than not doing it at all, but our feet work very hard for us, every single day. They deserve more attention that I’m giving them, and maybe your feet do too. Another reminder – Our feet are also critical to our whole bodies’ health. Every nerve line in the body ends in the feet. According to the RAA, each foot has 7,200 nerve endings in it. And while reflexology practitioners sometimes talk about manipulating “energy,” the basic theory seems to rest with these nerve endings, which would love to be massaged, energized and activated with Reiki also. Reiki is always gentle and safe. As well, we have a nice sized chakra in our feet which very importantly brings up Mother Earth energy for grounding. No surprise with the way I have ignored my feet that this is a continual issue for me. No judgment, we all have our issues. So, you can see, as a reminder to myself and all of you, our feet need more attention than we are giving them. Reiki is the perfect, gentle way to give your feet that attention whether you love to have your feet touched, or not. Thank goodness, with Reiki you can do it either way, touch or no touch. Traditionally taught method of doing a self-treatment on your feet. My son modeled for us on the fly. Photo by Joss Streett please link if used. Our feet are probably the most uncomfortable to get to. It’s an awkward position to lift our feet up and do Reiki on them on our lap. I have many clients who physically cannot do this due to age or physical issues. Then others like me who get so far and then finish or fall asleep before the feet get Reiki. We talk about this in Reiki I beginning class. I’m thinking most teachers probably cover this. But, since this topic keeps coming up at circles, I figure a little reminder doesn’t hurt. My young son beaming Reiki at both of his feet at the same time. This is much easier on the body for people with physical limitations. Hold your hands where most comfortable. Photo by Joss St, please link if used. Beaming method – Simply put your feet up on a cushion, ottoman,on the bed or even keep them on the floor, and beam the Reiki from your hands to your feet. One at a time would be best but to beam Reiki at your feet at all, at this point, is all good. Eye beam – beam the Reiki through your eyes, with intention, to your feet one at a time or at the same time. This may take practice if you have not done it before, but what better way to practice this than by doing Reiki on the hard to reach feet?! Simply hold the intention in your mind, body and spirit that you are beaming Reiki through your eyes to your feet and then look at your feet. Imagine this is working and ask Divine to send your Reiki guides to add help for you. They will give you insight as to how to do this. Please remember, the comfort of your body is important. You do not want to injure yourself in any way while doing Reiki. Do what feels good to your body first and foremost and the Reiki energy will flow more abundantly and with ease. Yes, definitely work with your Reiki symbols with your feet. I bet your feet will soak up the extra love and attention. Using grounding symbols at this point would be fabulous since your feet are one area where you may bring up Mother Earth energy for grounding. The Power Symbol (CKR), or the two Master Symbols (UDKM or TDKM) would work beautifully. And, of course, since with Reiki there is no wrong, work with any other symbol that your intuition advises for your feet. It’s all good! I pray this little reminder will get some of your feet feeling the love very soon. I know my feet are much happier. Thank you to all of you who participate in the circles and help to bring so many blog ideas to share with others.